Scholastic. Paperback. 0590468553 . Very Good. 1994-09-01. English Language. Scholastic, Incorporated, 1994. Paperback. Acceptable. Disclaimer:A readable copy. All pages are intact, and the cover is intact. Pages can include considerable notes-in pen or highlighter-but the notes cannot obscure the text. At ThriftBooks, our motto is: Read More, Spend Less.Dust jacket quality is not guaranteed. New York, New York, U.S.A.: Scholastic, 1994. Very good. 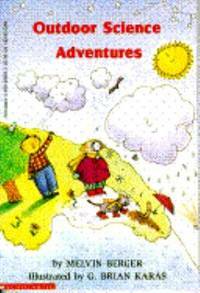 Paperback, children's book, science: earth sciences.. Paperback. Very Good. Illus. by Karas, G. Brian.